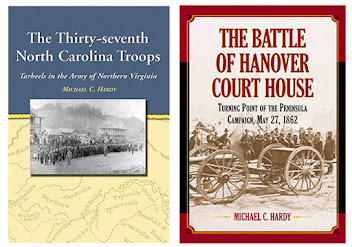 As I near the completion of the Branch-Lane manuscript, I think back about some of the secondary sources that have come out since I finished my first foray into the world of the Army of Northern Virginia in 2005. 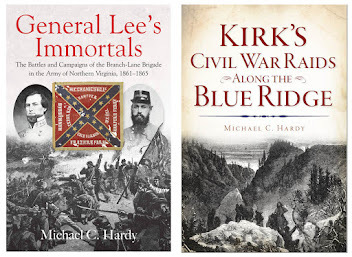 There have been some fantastic books released in the past 11 years, books that tremendously helped with the pursuit of writing a brigade history. Here are a few of them, not in order of importance, but in the order that I used them. 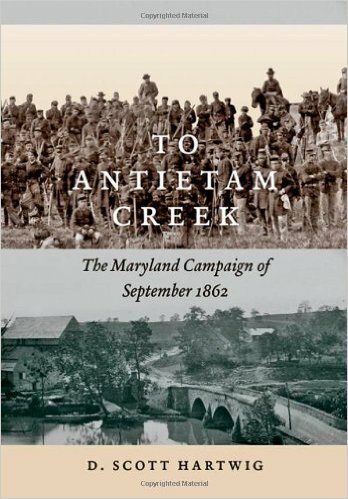 Probably the first outstanding book would be David S. Hartwig's To Antietam Creek: The Maryland Campaign of 1862 (2012). Hartwig's tome only covers the actions prior to the battle of Sharpsburg, all in 808 pages of detail-rich prose. 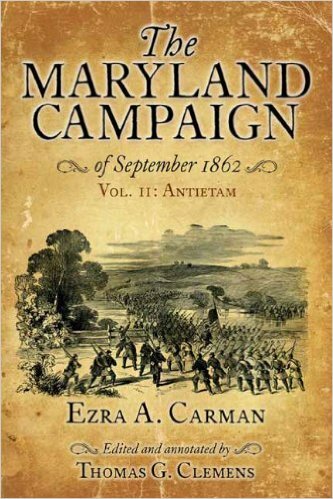 Tom Clemens has worked wonders on an old manuscript, The Maryland Campaign of September 1862 (2010-2016). There will be three volumes total. They were originally written by Army veteran Ezra Carman. The level of detail is great! 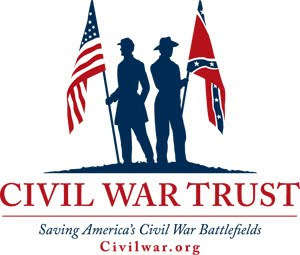 Carman corresponded with both his fellow Union veterans, and Confederate veterans as well. In the Gettysburg world, Kent Masterson Brown's Retreat from Gettysburg: Lee, Logistics, and the Pennsylvania is an incredible read. Brown's tome provides us with the most complete (to date) look into the way that Lee's army worked (or maybe at times, did not work), as it traveled to Gettysburg, and then worked its way back across the Potomac River. 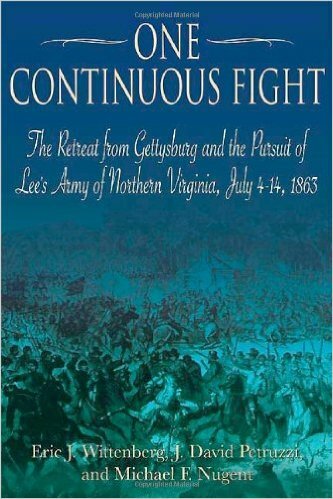 Along those same lines, but with a different take, is Eric Wittenberg, Michael Nugent, and J. D. Petruzzi's One Continuous Fight: The Retreat from Gettysburg and the Pursuit of Lee's Army (2011). 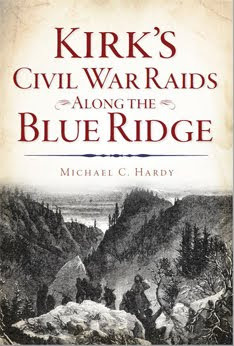 This book is detail rich, and combined with Brown's books above, along with Coddington, and the works of Pfanz, really complete the Gettysburg story. The second and greatly expanded edition of Richard J. Sommer's Richmond Redeemed: The Siege at Petersburg, the Battles of Chaffin's Bluff and Poplar Springs, September 29-October 2, 1864 (2014) is fantastic. 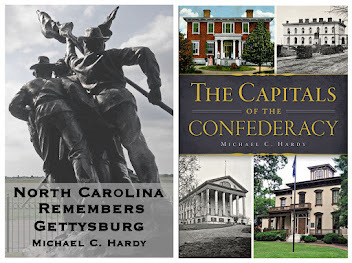 Almost 700 pages are devoted to four days, a part of the Petersburg Campaign that often gets lost in Grant's various attempts to take the Cockade City or capture Richmond. Also a second edition is A. Wilson Greene's Breaking the Backbone of the Rebellion: The Final Battles of the Petersburg Campaign (2008). The original edition was really good. The level of detail added to the last two weeks or so of the Petersburg campaign is fantastic. Falling on the heels of the breakthrough on April 2, 1865, was the battle of Battery Gregg. John Fox's Confederate Alamo: the Bloodbath at Petersburg's Fort Gregg on April 2, 1865, (2010) covers the afternoon of fighting on April 2. It is surprising that no one had ever looked at this battle in detail. There you have it - thousands of pages of some of the best releases on campaigns in the eastern theater of the war, published since 2005. 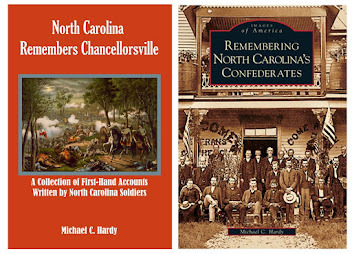 North Carolina Civil War County Histories, 2016 edition. 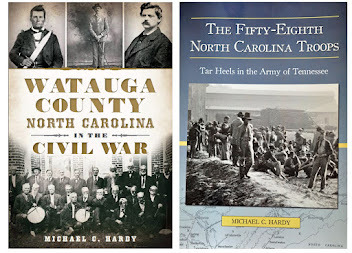 Friends, it's been almost two years since I've had reason to update the list I keep (and share) of works pertaining to North Carolina and the Civil War, county studies. 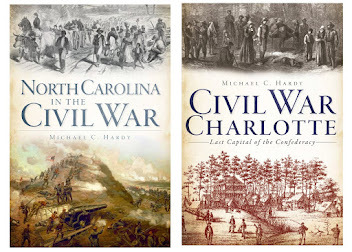 McFarland recently released Robert C. Carpenter's Gaston County, North Carolina, in the Civil War. I look forward to getting a copy and reading it very soon. If there is anything I have missed, any-stand alone book on a county or small geographical area, please drop me a line (or comment here) and help me get the list as up-to-date as possible.